Joshua Woodward, former co-owner of Table 8 was sentenced to 9 years in prison. 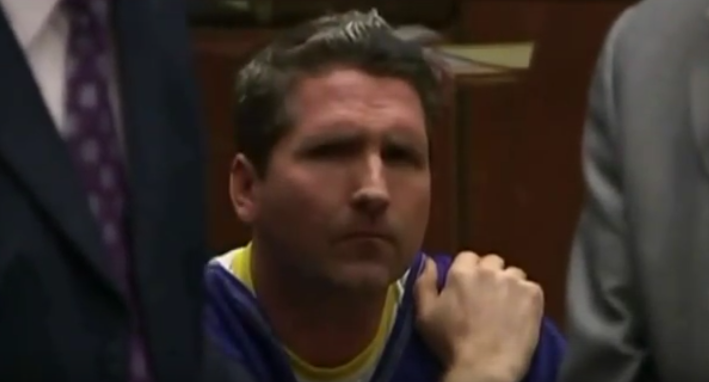 WEST HOLLYWOOD—On November 13, the Los Angeles District Attorney’s Office announced that former national restaurateur Joshua Woodward, 43, pleaded no contest to attempted murder for trying to induce a miscarriage of his ex-girlfriend’s fetus six years ago. Woodward, a Florida resident, co-owned the former Table 8 restaurants in Los Angeles and South Beach. Canyon News reached out to Greg Risling, Public Information Officer for the Los Angeles District Attorney’s Office, who specifically confirmed Woodward was a co-owner of Table 8 restaurant located in Melrose. Woodward entered his plea before Los Angeles County Superior Court Judge Curtis Rappe to one count of attempted murder and is scheduled to appear in court on January 29, where he is expected to be sentenced to nine years in a state prison. On October 18, 2009, Woodward tried to induce the miscarriage by using a drug called misoprostol, which is used in the medical community to induce labor and terminate early stage pregnancies. Risling told Canyon News that “the allegation in count one was that he put [misoprostol] in a Jamba Juice at first.” Evidence at the preliminary hearing revealed that he researched on the Internet to learn more about the drug and effective ways to administer it. During the preliminary hearing, evidence additionally uncovered that Woodward attempted to induce the miscarriage on three other occasions. Woodward’s case was investigated by the Los Angeles Police Department. Deputy District Attorneys Habib A. Balian of the Major Crimes Division and Marguerite Rizzo, Deputy in-Charge of the Forensic Science Section prosecuted the case.